HARTSYARD HAPPENINGS & WHY WE’RE NOT OPENING A SECOND RESTAURANT ANYTIME SOON!!! Welcome to this week’s edition of the not-quite-as-weekly-as-I’d-intended Hartsyard blog. I read somewhere that people reading blogs like things in point form because it’s easier for them to scan, and research has shown that for the majority of people, that’s exactly how they read blogs. By scanning. Suits me fine because I’m tired, so point form means I don’t have to agonise over the joining words in sentences. So, in no particular order, here’s what we’ve been up to of late. Firstly, happy easter! I hope you had a wonderful extended weekend. Isn’t it just the greatest of holidays? Popping up at a different time each year and hanging about for 4 whole days. It’s brilliant. Or it would be if you weren’t a restaurant open for the those entire 4 days. As we’re still in our first year, we considered it an exercise in data gathering and here’s what we discovered – 1. our guests were as lovely as always, a lot of them out-of-towners who otherwise wouldn’t have joined us. 2. 6 no-shows on Good Friday can really get you down. 3. Holiday wages are brutal. If we open at all next year, don’t be surprised if the entire operation is staffed by house elves. 4. Andy makes a damn good hot cross bun. 5. We did not sell an inordinate amount of fish dishes on Good Friday. Not sure if this means anything much at all to be frank, but it might look good on a spreadsheet somewhere. Since we opened again in the new year, (yes, I do realise that was months ago) we have changed the way we do our teas. They used to be picked fresh to order and steeped in hot water before serving, but we’ve since discovered that picking them fresh from the garden and dehydrating them intensifies the flavour and our guests seem to agree. Currently on selection are camomile, chocolate mint, lemongrass and apple mint. Cassie (our GM) is currently on her American odyssey. Drinking and shopping her way across the United States, finishing up in New York where she will catch up with Ash, our good friend who designed the space and Mike Bennie, our good friend who consults on our wine list. I am just a tad envious. 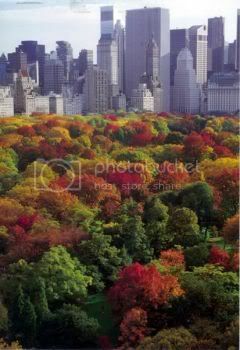 As autumn hits here, it reminds me of my very favourite season in NYC – the fall. I have such fond memories of running in Central Park, the coloured leaves falling gently at my feet, a scarf and a jacket to keep you warm and the audition season about to kick in, as directors look for casts for their the christmas shows and tours. Our pastry chef went to NYC last year, Cassie’s on her way, Mark from Front of House heads there in May, Amy our PA just got back from a few months in Europe, Sungha our Sous Chef went home to Korea for 5 weeks at christmas, Maddy our Bar tender is heading to South America for 3 months at the end of the year, so Gregory and I decided we’d beat them all by heading to exotic far north Queensland for a weeks R and R with our not-quite-so restful and relaxing two year old. Cocktails – new cocktails are coming on the menu these days. Most recently one designed by our very own bar tender Maddy. It’s called ‘them apples’ and i’d have a picture for you if we all didn’t keep forgetting to take one. Suffice to say it’s apple-ee and spicy, finished with some froth and a dash of cinnamon. Perfect for the fall. Brunch. I was going to put this in small print, or right at the bottom on the assumption that most people who skim blogs wouldn’t see it anyway, but I’ll be brave and tell you upfront that Gregory and I have shelved brunch ideas for the moment as if we were camels, it would be the straw upon our backs. This little husband/wife team just couldn’t handle Sunday mornings as well, so it’s been put in the too-hard basket, alongside selling the hot sauce and fighting with council for a parking permit. Gregory promises me he won’t go spouting off to any more bloggers about imminent brunch dates unless that date has been well and truly written in stone. Thanks for all the interest in it folks, and I am sorry, hopefully when we get to it, it will have been worth the wait. Look at it chilling out in there. Legs crossed, sending us a high five. Can’t wait to meet it. So there you have it folks, a brief rundown of recent happenings at Hartsyard. And a more than valid reason for not opening Hartsyard the second. At least, not with me involved! Because we’re muppets and didn’t think it through in time, we’ll be open for Anzac Day too. So if you fancy an American restaurant on a particularly Australian Public Holiday, we’d love to see you. Q and I might even whip up a batch of anzac biscuits for the occasion and I will be the Hartsyard house elf, so my rounding torso and I will seat you if you come on in. Happy Friday folks, hope you all have a wonderful weekend. Glad to hear your little passenger is public now! Congrats again!!! Our baby girl arrived without incident and can you believe she’s 5 weeks today. Hopefully I’ll be brave enough for an outing soon so we can get our Hartyard fix and I can eat all those dishes that were off limits during the pregnancy. WOO HOO! Welcome to your wee one. Congratulations on bringing your babe to life Anna. I do hope you’re feeling fine and snatching sleep whenever the little one allows. We’d love to have you in whenever you’re ready. Be sure to let me know when you do, I’ll come on down to meet her! Big love lady, congratulations to your entire family. Naomi, Too bad Grandma is dead, she would have made a demon batch of Anzac Biscuits! It’s her recipe…mixed with a passing glance at quantities and sabotaged by Q. I’ll send you some!